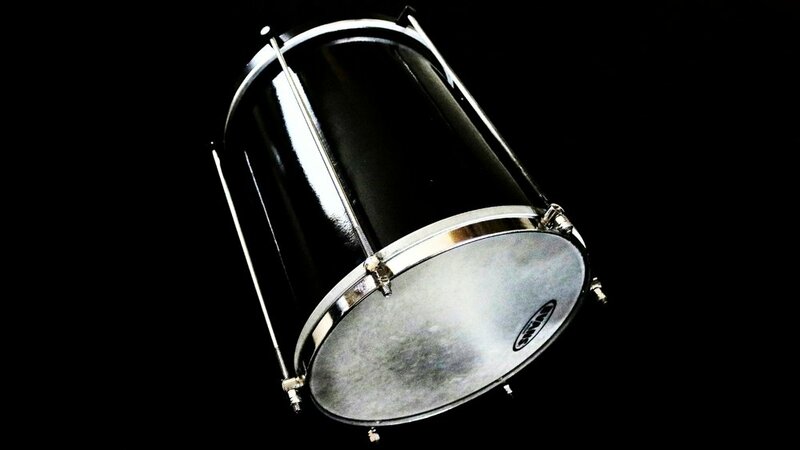 Lead drum. Plays the calls for Bateria to respond to. Shaker with pairs of metal jingles. Either metal or wooden frame. Commonly 2 bells (high and low) but can have 3 or 4 bells. Primeira (1st) has the lowest pitch. Segunda (2nd) is slightly higher pitch. Terceira (3rd-highest) plays complex patterns. 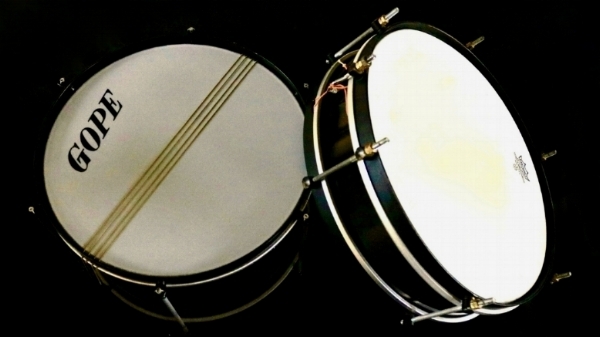 Snare drum, comes in various sizes. Tarol is 10cm deep. Caixa de Guerra is 20cm deep.